Blogs & websites for students and staff at the University of Northampton. Login with your NILE credentials. 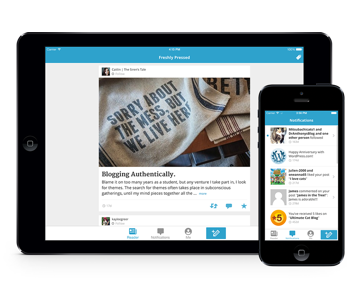 Edublogs (previously known as MyPAD) is the University’s internal version of WordPress. If you’ve used the software before, it’ll be familiar to you, but if you’re new to blogging, websites or WordPress, we encourage you to have a read of the guide. Option 1: Download WordPress app. Log into Edublogs by clicking on Self Hosted WordPress.org option inside the WordPress app then add your username, password and blog URL. Option 2: You don’t need to use the app. You are able to log into your Edublogs account using the browser on your mobile device. Edublogs dashboard is mobile friendly and works in the browser.